Lahore, July 3, 2018: It is going to be a unique global higher education initiative when Pakistan opens world’s first fee-free university next month. Set to open in Kasur district near Lahore, the capital city of the Punjab province, the Akhuwat University will be formally declared operational on August 14, the Independence Day of Pakistan, reported Daily Pakistan. 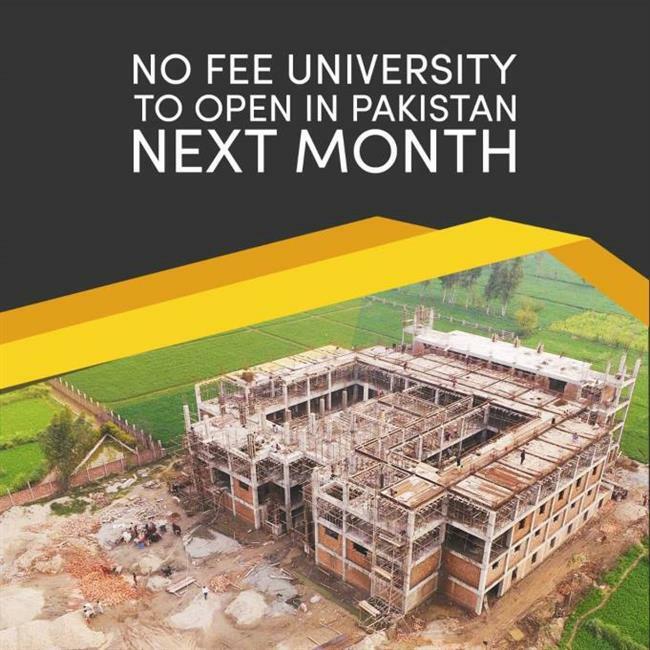 The students will not have to pay any fee at this residential university being established by Akhuwat, a micro-finance firm which offers interest-free loans in Pakistan, said the report. The students availing fee-free education may repay the cost after 5, 10 or even 20 years when they start earning. Akhuwat is already running a fee-free college in Lahore.